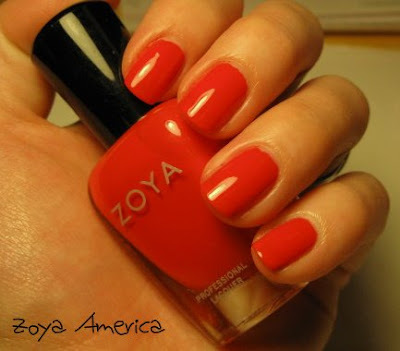 La-Di-Da is the second half of Zoya's summer release. It is made up of 6 creme polishes, three which are neons. They all applied wonderfully and like usual the neons do dry slightly on the matte side. My photos are taken without top coat, although most times I snap the photo while the polish is still wet. As of late I've really been drawn to Zoya's polishes. I have a ton of them in my stash but for the longest time I never really reached for them. 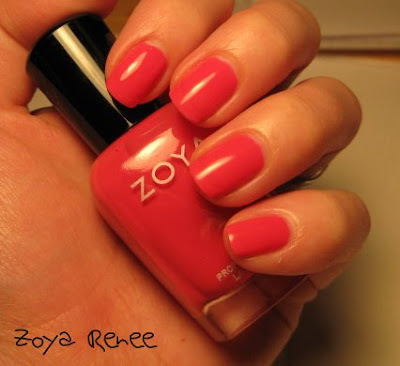 My past 3 or 4 manicures and past 2 pedicures have been Zoya polishes. They released some really fun colors for spring and the fall shades are amazing. Maybe I'm drawn to them because they are free of all the super harsh chemicals? I'm not sure but I'm glad I rediscovered the ones in my stash and am finally seeing how great they are. 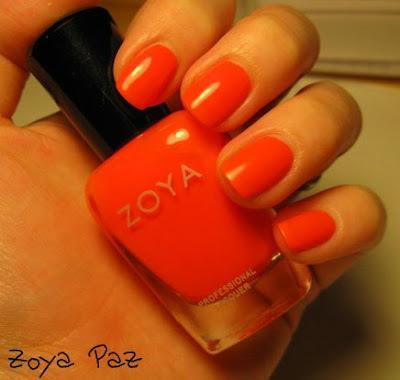 Paz - ultra bright neon orange. This polish is like construction cone orange. The picture is blurry because I had to edit it a bit to get even close to the true color. Renee - bright cherry red. i found it to be a bit on the pink side, my camera did too obviously. Pippa - ultra bright neon yellow. It's not as pastel as it looks in my photo. 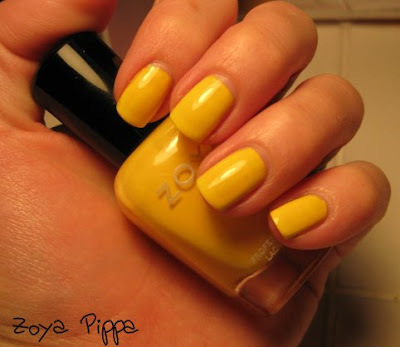 This is my first yellow polish but I'm not sure I have the guts to wear it. America - bright orange/red. Reds like these are staples in my stash, they make the perfect pedicure color. Dita - cherry red. 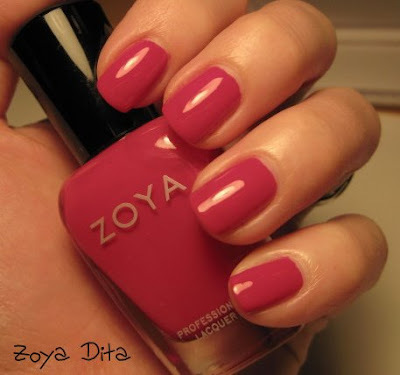 This one of the berry shades I mentioned in my previous Zoya post. Zoya does do berry well and this is currently on my toes but I'm kinda tired of seeing the shade. It reminds me of Moxie but I haven't compared the two side by side. 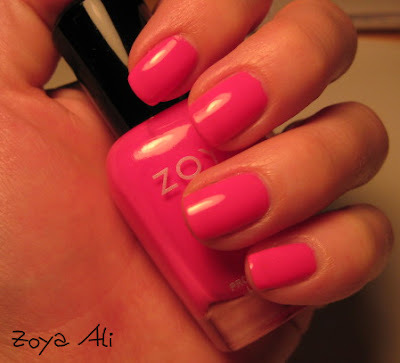 Ali - ultra bright neon pink. This photo is blurry like Paz due to editing. I just couldn't capture the neon as well as I would have liked. I love neon pinks, I usually sport them on my toes though. La-Di-Da is currently available on Zoya.com. The polishes are $6 each or $36 for the whole set. I haven't jumped on the Twitter band wagon yet but Zoya posts some pretty amazing deals from time to time if you'd like to check it out. I agree with the ladies on the newer post. Your pictures do have a yellow cast to them. Hard to tell the real colors of the polishes.